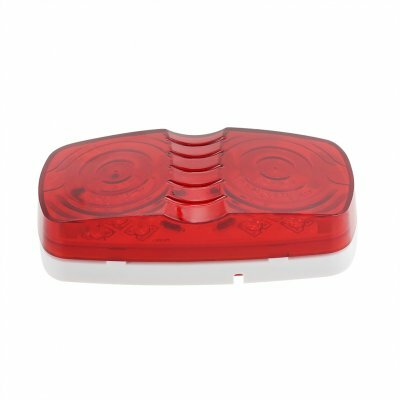 Successfully Added 12V 10 LEDs Tiger Eye Shape Double Bullseye Marker Light Clearance Lamp for Trailer Truck to your Shopping Cart. -- Consisting of high quality LEDs, and with strong structure, this car marker lamp as a strong durability, which will have a longer service life. -- Up to 100,000 hours rated LED life, which will well provide you the quality of using experience. -- Fits standard 3" mounting holes, which can be used for universal cars as clearance lamp, side marker, identification light, turn signal light. -- Ideal for Trucks, Trailers, Lorry and Pickups, etc.